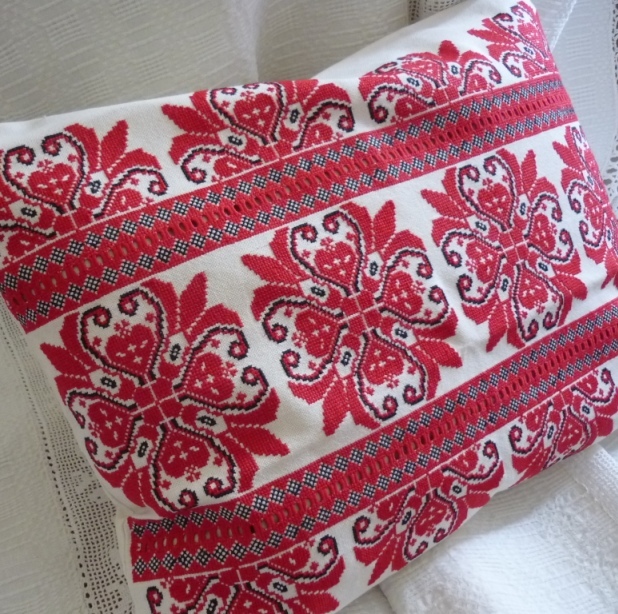 Traditional folk design, intricate embroidery with some cut work. These pieces are designed as heirloom pieces. To fit 40 x 60 cm filler.